It was a Saturday of obnoxious humidity. I decided I wanted to see some art and knew Savannah was home to SCAD: the Savannah College of Art and Design. Opened in the late 1970s, SCAD has become a huge part of Savannah’s ​identity – even going beyond the normal boundaries of a simple art college, SCAD provides security patrols around some neighbourhoods and attracts thousands of tourists every year. The heat was oppressive and my GPS was having a bit of a crisis connecting to a satellite. It felt like time was frozen in amber or else just restricted by a very thick, sticky jam. Added to this, the streets were incredibly busy as it also happened to be the day that students were graduating from the college in question. I gave up on GPS and decided to follow the crowds in hope that the graduation venue would be close to the museum. I got lucky! Across Martin Luther King Jr Boulevard stood the museum. I opened the door and the relief was immediate. Cool air cascaded from above me, drying all perspiration, and giving me a chill. I paid entry fee to the lady behind the counter. 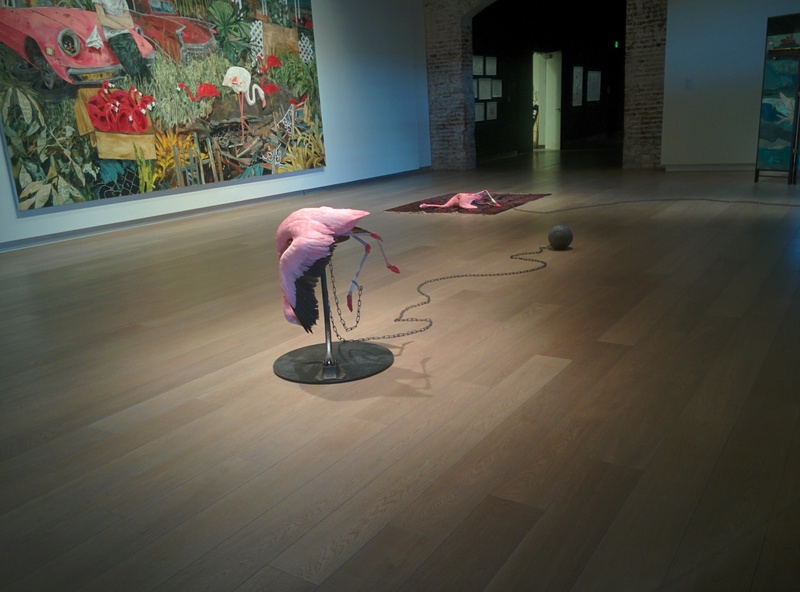 The first gallery was empty of people. Three docents stood talking to each other. I moved from picture to installation to sculpture to picture. 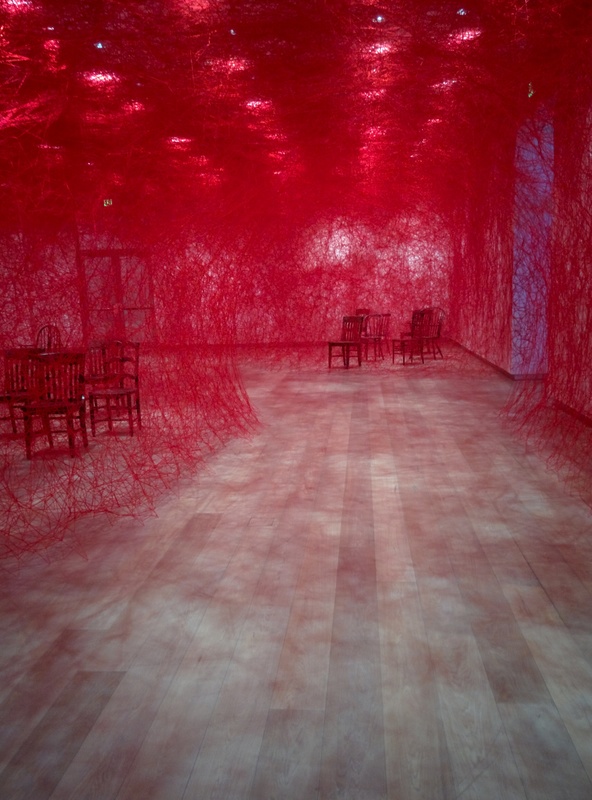 There were very few traditional artworks – everything was very provocative and demanded that you try to find meaning. As I passed from room to room, I realised that my appreciation of art was limited to the literal: show me a dramatic seascape, epic battle scene, or a detailed portrait, and I can understand with little prompting what’s going on. Show me a dead flamingo on a bar stool with a ball and chain attached, and I’m as lost as a man whose GPS is on the blink. I can appreciate the work that goes into making something like that, but because further meaning is implied by the randomness of the piece itself, my mind gets lazy and switches off. The meaning might be astounding but because I had to ask, it takes away from the impact. To put it bluntly: to me, sometimes art can seem like a bad joke, if you have to explain it, it loses all its power and the only reaction it can garner after being explained is “oh”. But that’s genuinely my own ignorance when it comes to what constitutes art. I’m simple and just enjoy a pretty picture. 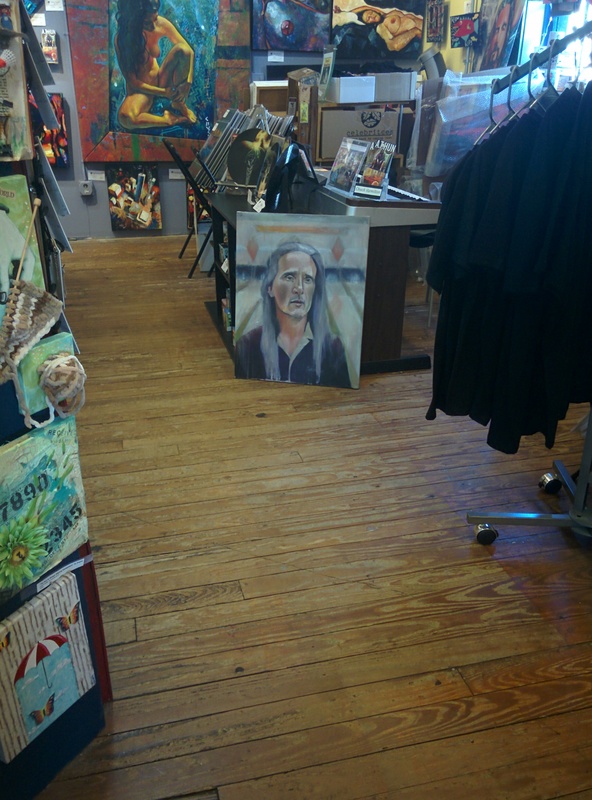 Later, I took a walk down to River Street where I browsed the smaller galleries. 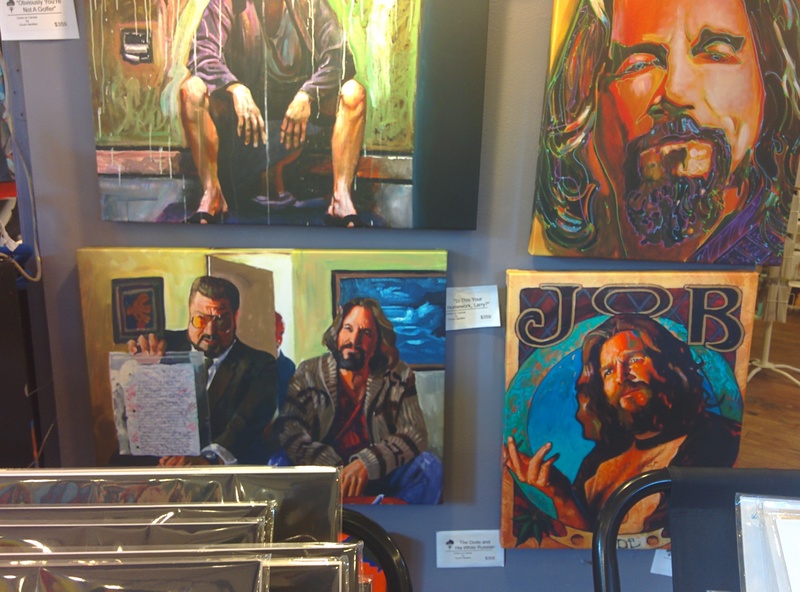 There I found the work of an artist called Chuck Hamilton, who seems to share my love of the film The Big Lebowski. A lot of his work depicts scenes or characters from the movie. Now that’s art that I can abide.